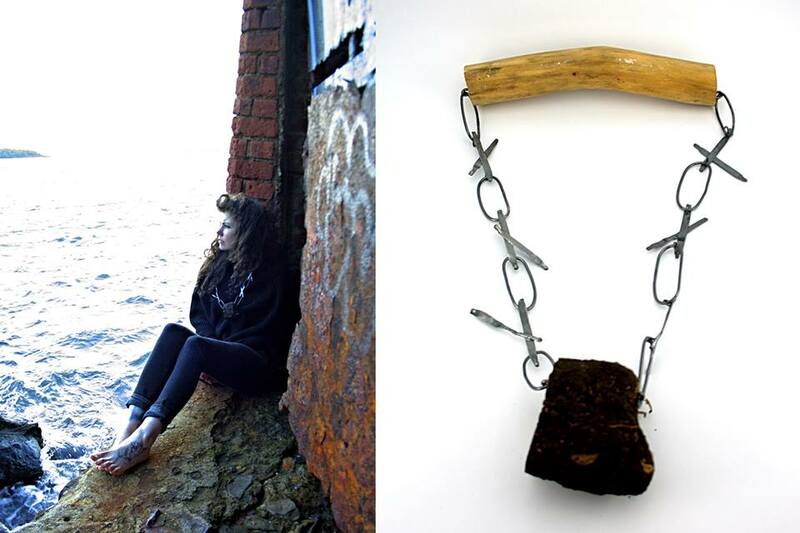 Materials: Found drift wood, 925 Sterling silver, Oxide (liver of sulphur), Peat. ‘The call of the ocean and the smell of a peat fire instantly transports me home. Where I grew up will always be my home perched on the cliff above Carnalea Bay, the peat stove burning in the hallway, my favourite wooden chair warming beside it. This is home, alas it is no longer our home. Sitting in the abandoned boat house looking out to the bay that our home overlooked is as close as I get to home now. I feel at peace, my mind at ease. This is home.